The interview series poses questions concerning the role of affects and emotions in research practice and contemporary society to researches on short-term visit and associate members of the Collaborative Research Center „Affective Societies“. 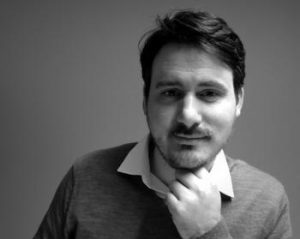 Today, we introduce Jean-Baptiste Pettier who has a PhD in social anthropology from the École des Hautes Études en Sciences Sociales, with a broad interdisciplinary background in social sciences and a specialization in Chinese society. His main research topics concern sentiments, affect, and morality, and their relationships with political and economic conditions. His PhD research fieldwork was carried out in two major cities of China, Beijing and Chendgu, between 2006 and 2010. There, he worked on the topics of sexuality, gender, reproduction and marriage, in order to understand the construction of individual lives in the context of the very intense social and economic competition on-going in present days China. The pressures to marry in their twenties that his interlocutors were complaining about convinced him to focus his doctoral research on this issue. As a research fellow in the CRC 1171, he is now enlarging his focus to the question of the link between intimacy and material conditions. The link between desire and economics: how larger dynamics, contextual factors and the economic organization of society shape intimate human relationships, our sensible imaginations and our understanding of the world. I am particularly interested in understanding the ways in which they become literally part of us, how we embody them. Surprise itself, maybe? Being surprised, or rather, staying open to be surprised, which is as well a certain practice of the body and of the mind. It is from my perspective what allows us to progress intellectually. In my discipline, social anthropology, surprise comes both under the form of contradiction and criticism, when one has the chance to receive useful scientific criticism, and through our fieldwork experiences, in which we encounter people thinking, living, and sometimes feeling differently than we are used to. In both cases, these surprises are not easy to handle. In science, we should defend our positions while remaining open to other views at the same time, and ready to revise our previous analysis if new significant elements appear. This is a work that implies modesty and persistence at the same time. In the fieldwork, we should be open to exploration and accidental discovery while maintaining focus. In addition, our bodies and minds constantly resist surprise by trying to come back to previously established frames. There is no easy way to overcome these difficulties, but if we refrain from being surprised, the path will be lost. Somewhat, it is always easier to come back to our previous understanding once we return to the social world and milieu we are most familiar with. However, these movements and displacements, both physically and intellectually, pave the way towards a better knowledge and understanding of the world, or of the diversity of worlds one can encounter within it. Being ‚displaced‘ by switching social and cultural milieus is the only antidote I know against ungrounded certitudes. We are all more-or-less prisoners of our milieus and of our times, but we can at least use the diversity science confronts us with to avoid too easily held evidences. 3. Do ou perceive any affective driving force or affective barrier concerning your research work? Intellectual curiosity and passion are driving forces in science. I like to consider science as an intellectual adventure. On the other side, anxiousness and instability are obvious barriers along the intellectual career. And they unfortunately are part of the same path. To maintain our awareness and openness, we have to move and to be moved. But these movements are at the same time very destabilizing for the human beings that scientists are, to the point to eventually block them from going further. There is hardly any way out of this paradox. A novel, by the French writer George Perec (1936-1982). I am absolutely fascinated by the quality of the author’s descriptions, and how he makes us travel in the life of the protagonists. The author was working as an archivist for the French National Centre for Scientific Research (the CNRS), and you can see the influence of his proximity to science in his literary work. Even if it is a novel, and thus a work of imagination, he produces a fascinating depiction of the Parisian life of the time. In the book La Vie, Mode d’emploi (Life, a User’s Manual), published in 1978, he unfolds the life on-going in a typical Parisian building, that is the archetypical ‚haussmannian‘ model, which was strictly implemented in the city in the second half of the 19th century, and produced the city we know today. The whole novel is a travel through one such building. The author describes every single room and the lives of their inhabitants over half a century, circulating from one apartment to another without ever coming back to a single one. Obviously, it is a work of imagination, but at the same time, it is a very convincing and vivid depiction of the Parisian life, in its diversity. It is also very ethnographic by the extraordinary emphasis he puts on very tiny details, which give a sense of the material conditions of life, of where the things around us come from, and how they arrived here. He never misses the opportunity of a story concerning one thing or another, following the circulation of things, and thus of people. What is interesting in his work is that he adopts mainly the tone of an old-fashioned ethnographer, basically describing everything he observes without elaborating on his own position or sentiments towards it, and insisting on sometimes very small details which give a deep sense of realism. This search for apparently neutral forms of writing is in many ways the opposite of the type of work that we do today, and that I do myself, as you may know if you have read my methodological article on what I named the ‚Affective Scope‘ of fieldwork. This, for the reason that we insist much more (rightly, I believe) on the importance, in science, of situating where the author stands, who he is, and which perspective he has adopted. Obviously, Perec was not an ethnographer but a novel writer. There is no neutrality for us like the one he can pretend to bring in his writing work, as everything he writes is anyhow invented. What is fascinating to someone aware of the scientific practice of the time is however that even this apparently neutral description is actually successful in bringing a reflexive level to the reader. The author is visibly very conscious of the effects he produces, and he signals it to his intellectual readers, for example when he includes the description of a pile of ethnographic journals (giving them names very closed to real ones) in one room, or by including in his book the life-story of a failed ethnographer. In this, one can perceive his reflexivity about what writing means, and of the meaningfulness of the descriptive work that he is taking up. And for the ethnographer, there is somewhat something uneasy to read in this mirror he offers us. In a way, eight years before the publication of Clifford and Marcus‘ Writing Culture (1986), this impressive piece of work already provided very important tools to reflect on scientific practices for those who read it. Beyond this, the quality of Perec’s depictions really gives me the feeling of travelling from one life to another while following him in his descriptions of the building’s rooms and in the lives of their inhabitants. This is a piece of wonder to me. The postdoctoral stage has the reputation to be a particularly stressful part of the academic career. The uncertainty and instability which, by definition, characterize it, can easily become very destabilizing. The positive side is that it is as well full of opportunities. I really enjoy the chance to be here, the progresses it allows me to make on my work, and the colleagues I have the chance to meet with. So, if there is one feeling I would rather refrain from at this moment, that’s anxiety. I want to enjoy this moment, even if I should at the same time conclude my previous project, advance along the current one, and prepare myself for the next stage. I also try to improve my German… There is always a lot to do, but that is better than being with empty hands!